What if lesbians got to name all the winter storms? 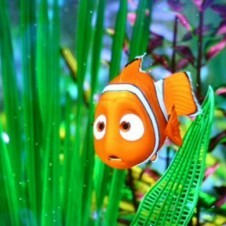 This just isn’t the direction we would go when naming a blizzard (“Finding Nemo” screen shot). According to the Weather Channel everyone in the northeast is going to be under siege from the Worst Winter Storm Ever(tm) – scarier than the one where Luke Skywalker barely survived by crawling into a Tauntaun carcass on Hoth.The northeast was just assaulted by the swirling winds and snow from the monster named Nemo. Yes, Nemo, which, despite being named after the perpetually ticked off Captain Nemo, conjures up the image of a dinky orange fish in the public eye. Also, it’s the northeast. Sometimes it snows here. Get over it. Posted February 10th, 2013 & filed under Entertainment.